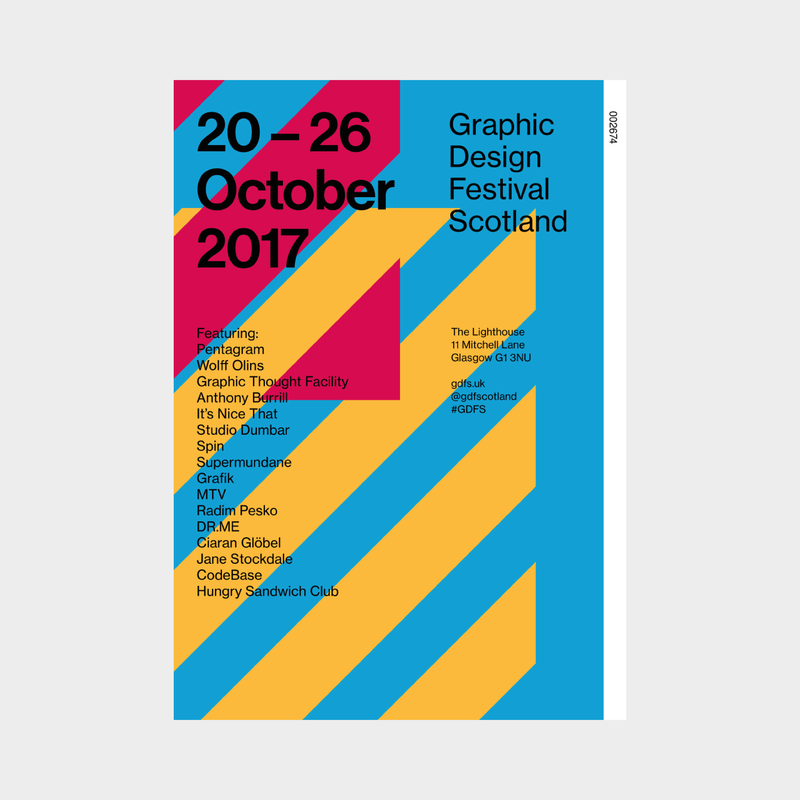 Graphic Design Festival Scotland returns to Glasgow in October with a week of hands-on creative workshops, exhibitions, film screenings and a one-day conference. 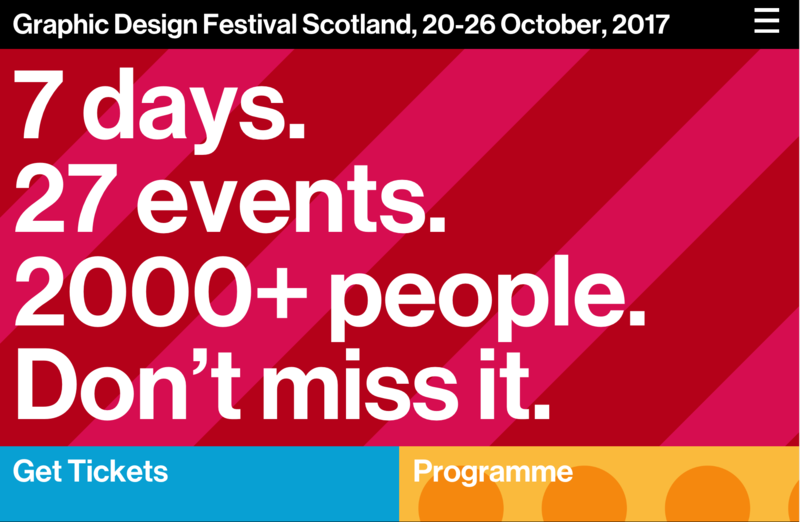 The identity for this year’s festival is inspired by the concept of democracy and collective decision-making. 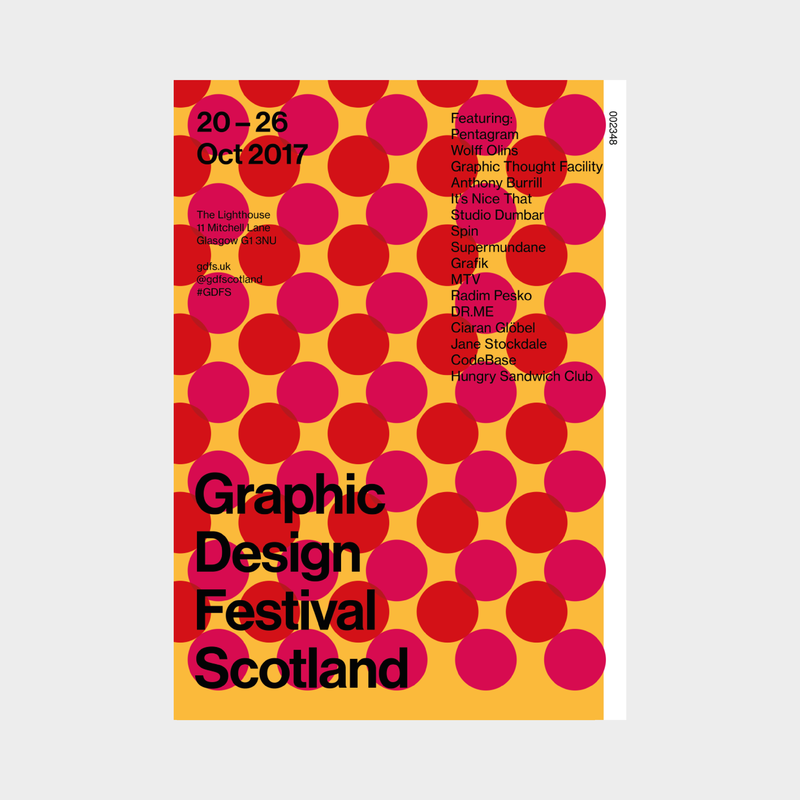 It was designed by Glasgow studio Graphical House and GDFS founders Warriors Studio (James Gilchrist and Beth Wilson). 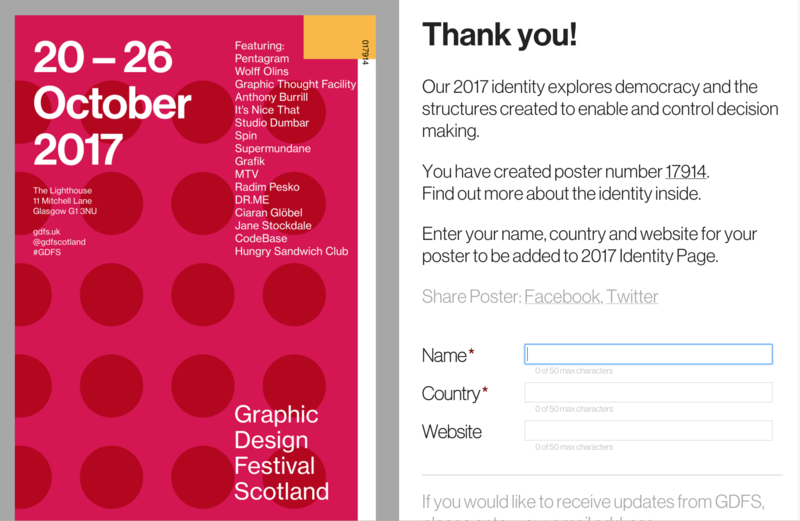 An online poster generator built by Infinite Eye allows people to create unique posters for the event. The tool asks users to make a series of binary decisions – choosing spots or stripes, yellow or pink, left or right – and generates a layout based on their choices. 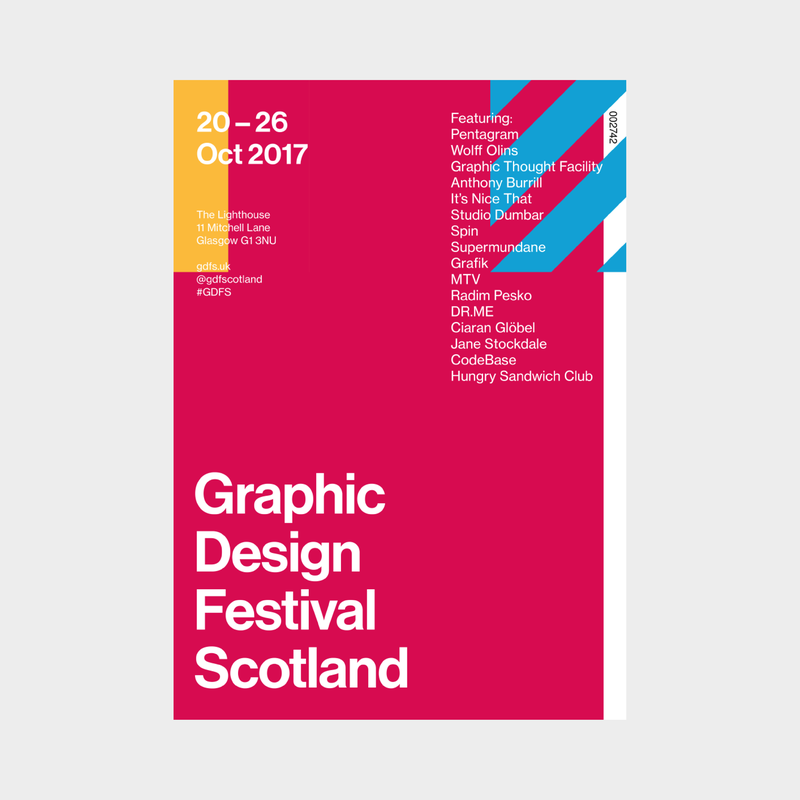 The CMYK colour palette and use of a single typeface (Neue Haas Grotesk) ensures consistency while allowing for thousands of possible combinations. Graphical House’s Laura Flynn says the system highlights how constrictive binary systems are. 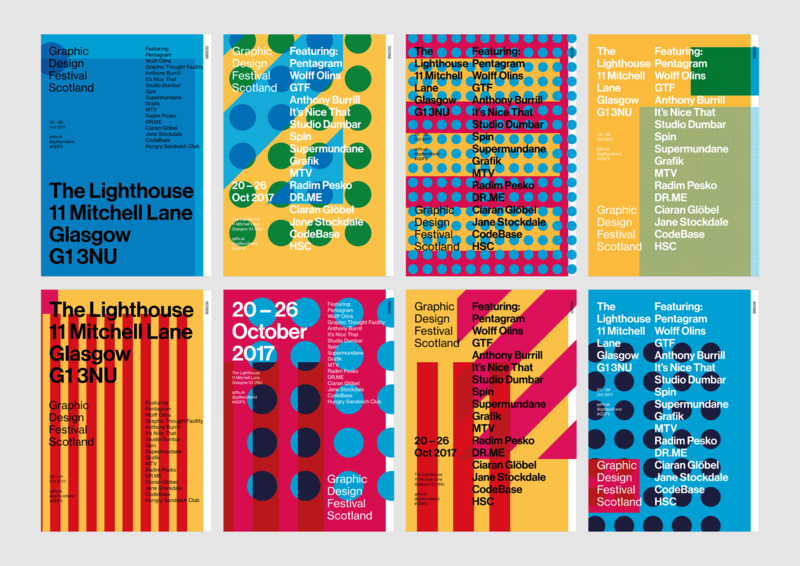 “Despite being able to create an entirely personal, unique poster, [the designs] all share similarities. From a design point of view this ensures the identity is cohesive but it also highlights how little control binary decisions and our political systems we use offer us,” she explains. The generator tool is accessed via the GDFS homepage. Users are asked to make a series of snap decisions without knowing the outcome. They are then presented with their poster and the option to share it online. 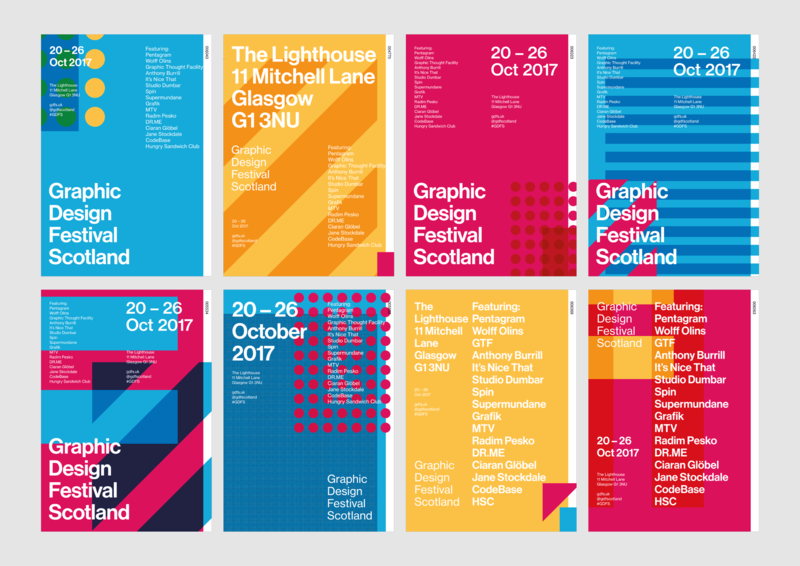 More than 17,000 posters have been created and designs will form the campaign artwork and festival identity. The GDFS programme includes a one-day conference with talks from Supermundane, Studio Dumbar and Wolff Olins, two-day creative workshops with Graphic Thought Facility, Spin, Radim Pesko and MTV and one-day workshops with sign-painter Ciaran Glöbel, documentary photographer Jane Stockdale and printmaker Anthony Burrill. 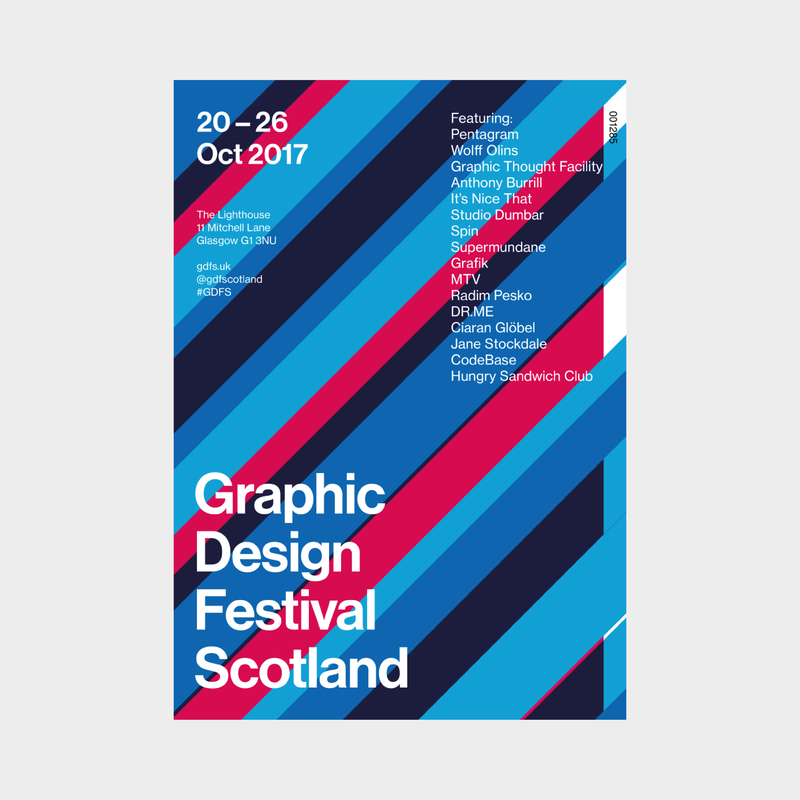 This year also sees the return of GDFS’s International Poster Exhibition and two-day ‘live project’, which gives students and recent graduates the chance to work on a creative brief with guidance from some of Scotland’s top creative teams.